"You Too Can Teach Young Children How To Play Piano"
Early exposure to music can improve IQ scores, motor coordination and social skills. Those children who receive piano training performed 34% higher on tests that measure spatial-temporal ability than others. A young age is the perfect time to get children to love and appreciate music. 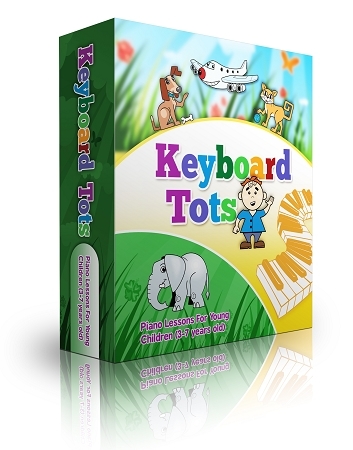 This will keep your little guy or girl busy, fulfilled and engaged for many weeks. Interactive Computer exercises - There are a total of five different types of computer exercises. Downloadable Video Tutorials - There are 10 video tutorials to help your young student learn how to play piano.